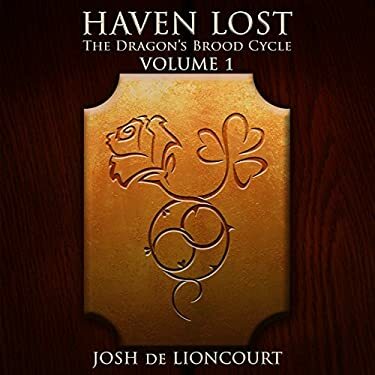 We’ve reached week 3 of ThanksGiveaway, and the next prize is Josh de Lioncourt’s Haven Lost. Come read my 5-star review of this fantastic audiobook read by Reay Kaplan and enter the giveaway via Rafflecopter. This week you can enter 8 different ways, and some entries can be done once per day for bonus entries. Enter to win an audiobook of Haven Lost today through Monday, November 16. Monday, November 23 – Monday, November 30: surprise giveaway! Click here for my 5-star review and the Rafflecopter giveaway of Haven Lost. Sixteen-year-old Emily Haven, heroine of the girls’ hockey team at Lindsey High, has spent her young life keeping two secrets: her rapidly deteriorating home life and the seemingly supernatural power that makes her a star on the ice. When she begins seeing visions of a lost and ragged boy reflected in mirrors and shop windows, a series of events unfolds that tears her from 21st-century Minneapolis and leaves her stranded in another world with horrors to rival those she has left behind. Lost amidst creatures of fantasy and legend, she’s forced to confront the demons of both her past and future to unravel the riddle of the mysterious boy and embark upon a journey to uncover long forgotten histories and the dark, cloaked figure in the shadows behind them all. Caught between opposing forces of a war she doesn’t understand, Emily must find new strength within herself and, above all, the will to remember her friends. Click here to view the review and find the Rafflecopter giveaway of Haven Lost (US AND UK entries welcome!). This entry was posted in Something Else and tagged audible, audible codes, audiobook, author, book, book giveaway, book thanksgiveaway, books, epic fantasy, fantasy, fiction, free, free audiobook, free book, giveaway, harmony's song, haven lost, indie books be seen, inspiration, josh de lioncourt, literature, monday blogs, novel, novels, psychology, quest fantasy, read, reading, reay kaplan, the dragon's brood cycle, win, win an audiobook, writer, writers, ya fantasy, young adult fantasy.